Yuca (sometimes spelled yucca) is similar in taste and texture to a potato. 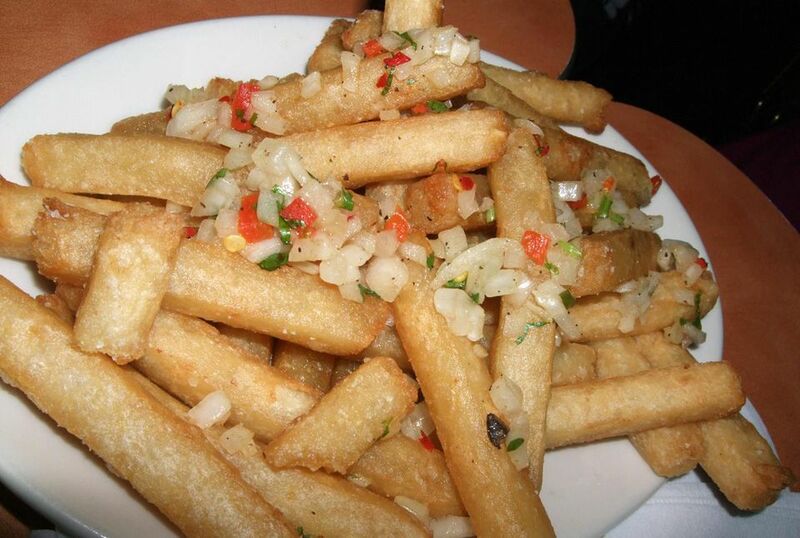 Next time you want french fries, try yuca frites instead; they look the same and taste similar, too. In a saucepan, combine garlic, bay leaves, salt, and water. Add the Yuca, reduce the heat to medium, and simmer until yuca is tender, but not sticky or falling apart, about 30 minutes. Drain the yuca on paper towels. When cool enough to handle, pat the yuca dry. In a fryer or deep skillet, heat the oil to 375 F.